Sean graduated from Idaho State University in Pocatello, Idaho in 2012 with a Bachelors of Science Degree in Exercise Science. While completing his degree he was a two-year captain on the ISU football team. Following his time at ISU, Sean moved to Boise to earn his Associates of Science Degree for Physical Therapy Assisting at Carrington College. 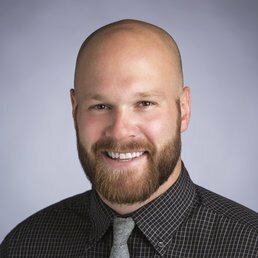 Sean joined the ISMI team in 2015 and thoroughly enjoys the orthopedic rehab environment. In his spare time he enjoys snowboarding, fishing, camping and hiking with his wife and friends all around the western states.